A special one-day progeCAD CAD training course will be held Thursday, 28 January 2010 in Newcastle, NSW Australia. Special pricing for this event in Australia should especially appeal to small businesses on the Australian East Coast. All materials needed for participating in the class will be provided upon arrival. The class will be divided into four sessions on basic and advanced design. Lunch will be catered for. progeCAD is a powerful tool for AutoCAD-compatible CAD drawing. progeCAD offers most of the same commands and DWG file format support, but at a much lower cost compared to AutoCAD or AutoCAD LT software. Recent years have also seen many customer-driven improvements in speed and flexibility. In 2009 progeCAD added in-place text editing, paper space sheet size display and 3D Google Earth model export. New buyers are now also enjoy a free upgrade to the 2010 version upon release. A 30 day trial version can be downloaded from CADDIT. 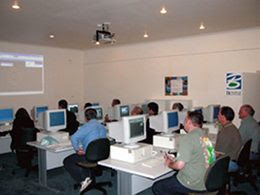 Newcastle Computer Training is centrally located on Wood Street, Newcastle NSW not far from major highways and public transportation. A wide choice of accommodation is also available. All software, hardware and needed training materials will be provided on site. Specific questions about next class content material are being answered by CADDIT on (02) 8777 5588. Registration for progeCAD Training 2010 can be completed by phoning or by registering online at HERE at CADDIT.